If you are planning of expanding your business and need few vehicles for its support, you might not get as many options as the brand Chevrolet has to offer. Moreover, the brand isn’t done after releasing the most beneficial vehicles for every business purpose, it is also extending Business Choice Offers to add exceptional value to the vehicles you choose that will keep your business moving. This offer includes cash allowances on both Upfits and on Chevrolet Accessories, that gives you the freedom to tailor make your new Chevrolet to the exact needs of your business. You need not pay anything extra for features you don’t want while you can also enjoy the current retail offers as well for an even greater deal. In this the brand Chevrolet proves that getting you a better value for your business vehicle is their ultimate motto. The team further explained to us that Chevrolet has now started partnership with key business houses to make it easier for the deals to get materialized. Today, Chevrolet has nonetheless the most comprehensive lineup of business vehicles, that includes vans, pickup trucks, SUVs, crossovers and luxury cars that are perfectly tuned to serve different size and dynamism of business needs efficiently. Chevrolet is in constant pursuit of researching the latest business market demands. Knowing the needs of each kind of business, the brand has released a handful of excellent business vans that can transport your goods or even haul passengers to their destination points as early as possible with safety features protecting them. You get the 2019 Express Cutaway, 2019 Express Cargo Van and 2019 Express Passenger Van in its lineup of Vans. The pickup trucks, chassis cabs and cutaways are the next big vehicles you can depend upon if you have a bit heavier business requirement. The lineup will show you the 2019 Colorado, 2019 Silverado 1500, 2019 Silverado HD and more. The SUVs and Crossovers from Chevrolet are large in numbers. Among them there are some, that are designed keeping in mind the purpose of business in particular. They combine the perfect proportion of contemporary design with the latest concept of spacious comfort, and the 2019 Suburban, Trax, Traverse and Tahoe are the best examples of that engineering marvels. With a vast variety of efficient powertrain options, that includes both electric and hybrid, the Chevrolet cars are just there to make sure they serve the right purpose for your business. Check out the Cruze, Malibu, Impala with their own sets of features of performance, safety, comfort and connectivity your business trips should be equipped with. 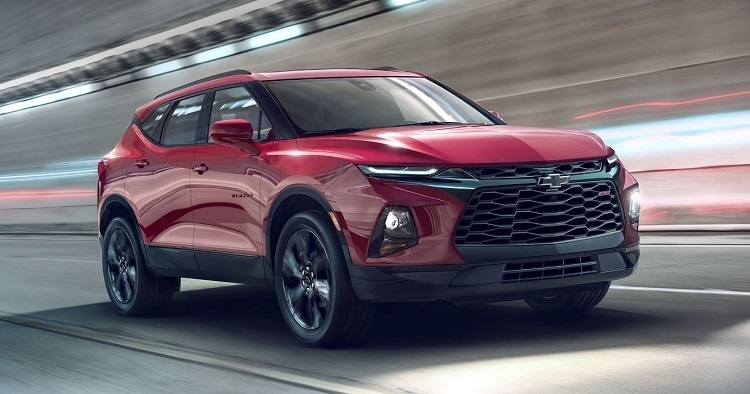 To pick the one that will execute all the purposes, check out the latest 2019 inventory at your nearest Concord Chevrolet dealership.